The perfect purple moisturizer to knock the brassy tones right out of cool blondes (and gray) heads. Multi-Spectrum Defense Complex (rich in Green-Tea-derived Antioxidants and UV protectants); as well as Bio-Advanced Peptide Complex, our unique formulation of proteins that adhere to damaged hair strands, and offering reconstruction from the inside out. (Note: This product contains ingredients that may cause irritation; a preliminary patch test should be completed before use.) 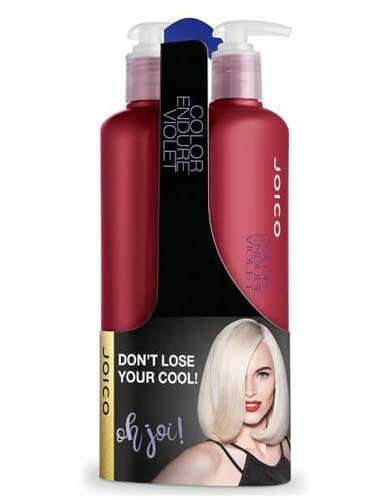 Perfect for Highlighted high-lift blonde or gray hair that’s faded or turned a shade of not-so-mellow yellow, thanks to the common oxidization process. Apply a small amount to clean, damp hair. Leave in for 1-3 minutes, rinse.